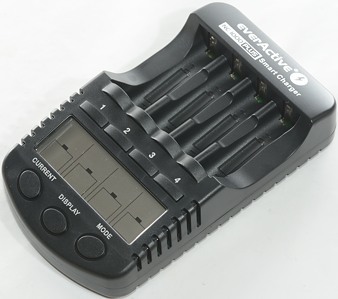 This is a compact 4 channel analyzing NiMH charger and usb charger from everActive. The box contains the charger, a power supply, a car adapter and a manual. 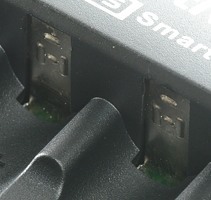 The charger has a barrel connector for 12V power input, but this charger can also charge usb devices and has a usb connector for that. 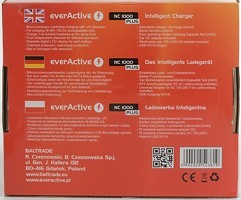 As all analyzing charger it has a display and a couple of buttons. 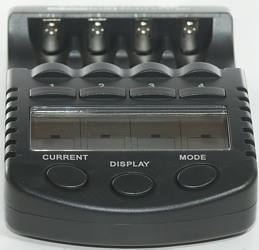 The CURRENT button will step between the possible currents, this only works when new batteries are put in or after using the MODE button. 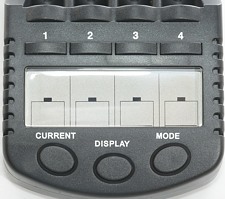 Using the MODE and CURRENT button will change for all channels, but if one of the numbers is pressed first only that channel is changed. 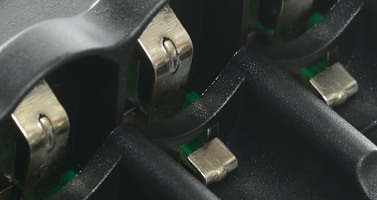 The charger uses a AA/AAA two level slot. 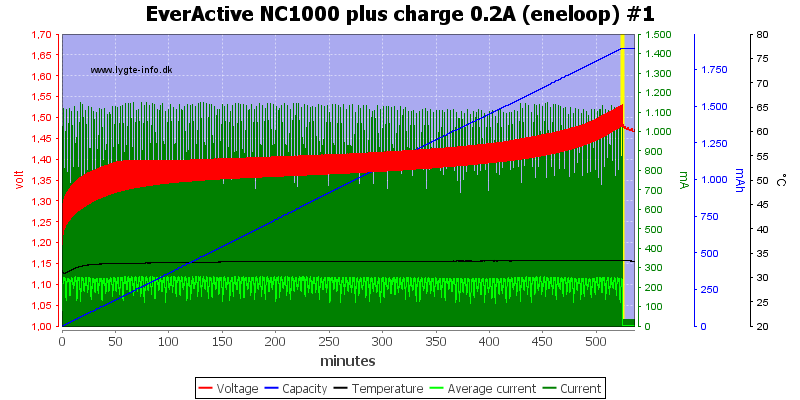 Power consumption when idle without batteries is 1 watt from mains. 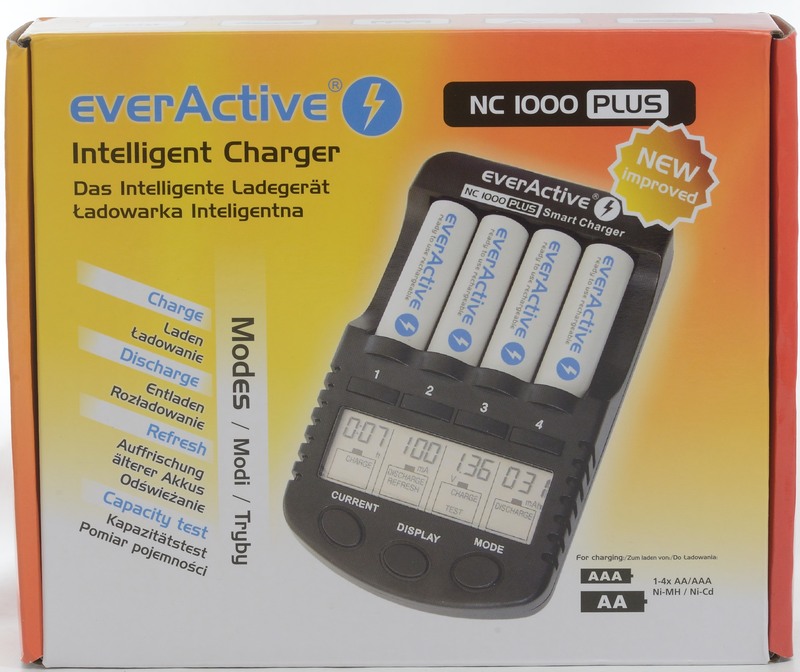 The charge mode can select between 200, 500, 700 and 1000, default is 500mA. 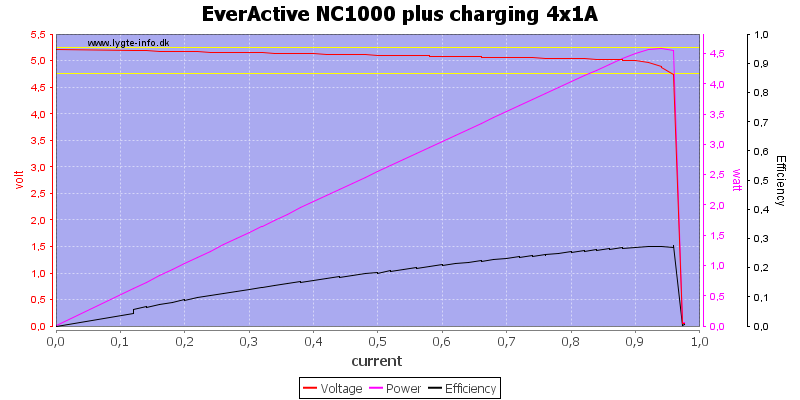 This charging looks fairly good with -dv/dt termination, but it has some tricke charge. The 3. other channels also looks good. 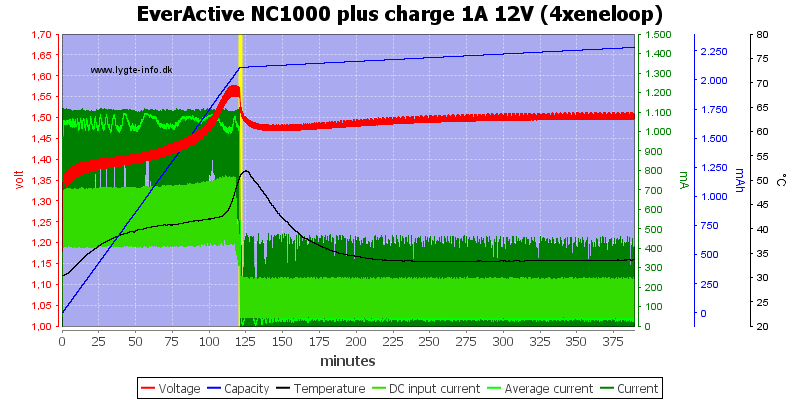 At 0.2A the current is too low to do -dv/dt termination, but the charger stops anyway, maybe on a timer. The battery is not fully charged, but that is basically my own fault for selected way to low charge current for that battery. 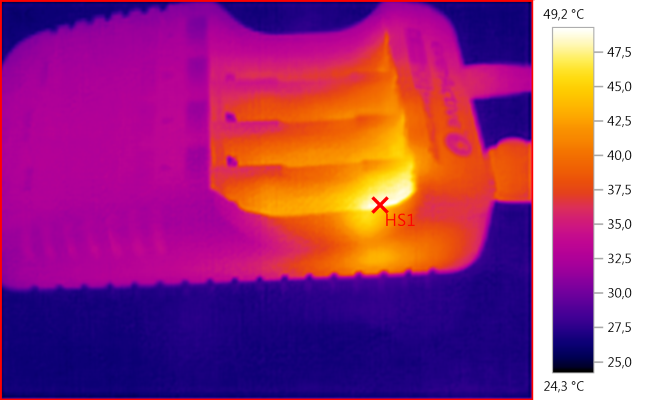 At 1A the -dv/dt works perfectly. 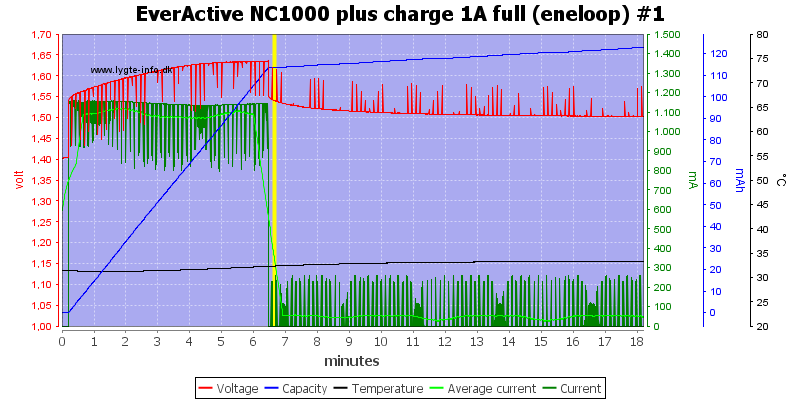 The trickle charge do not stop within the first 3 hours (probably never). The two high capacity cells looks fine. 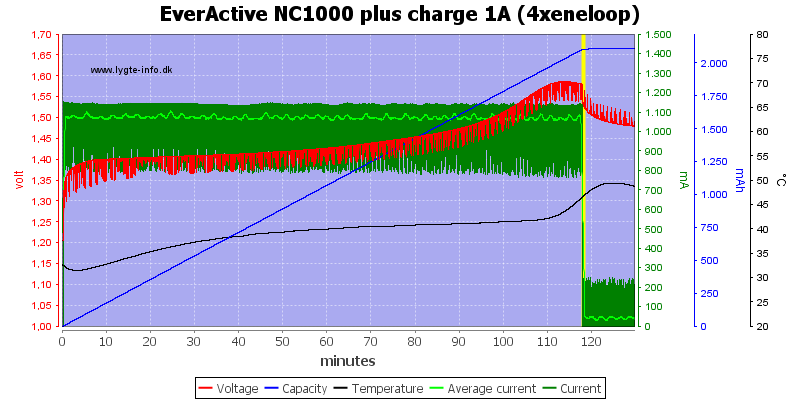 This cell is definitly not new anymore, it has a fairly high internal resistance, but the charger handles it. No problems with the AAA cell. 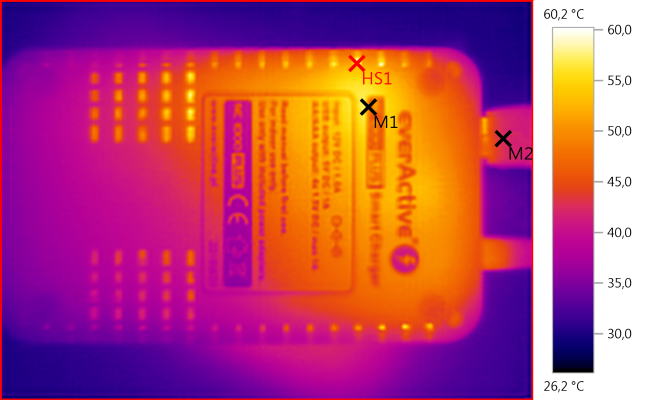 The full cell is detected fairly fast for a -dv/dt charger. Four cells at 1A is not a problem. The charger uses below 1A for this. Beign a compact charger the batteries are fairly warm during charging. When turned on the charger will wait some time for user input, before start charging. 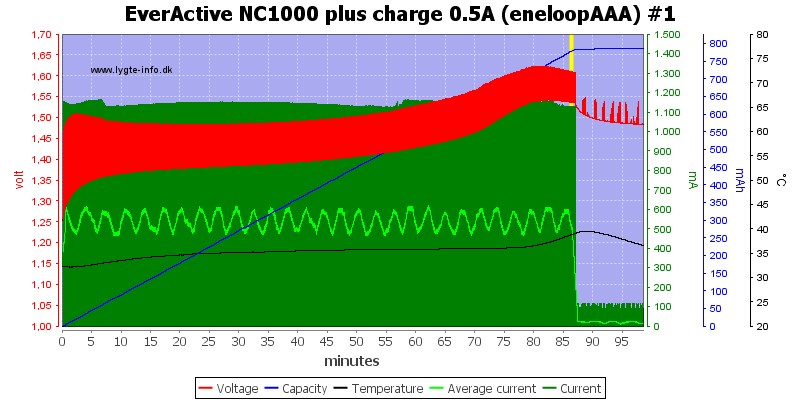 The charger uses pwm to regulate the current, here with minimum charge current. And here with maximum charge current. 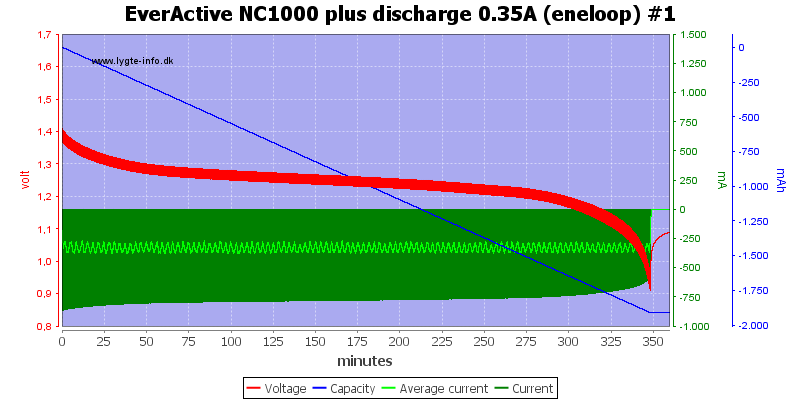 This chart has higher battery voltage than the chart above, but current and duty cycle is the same, i.e. 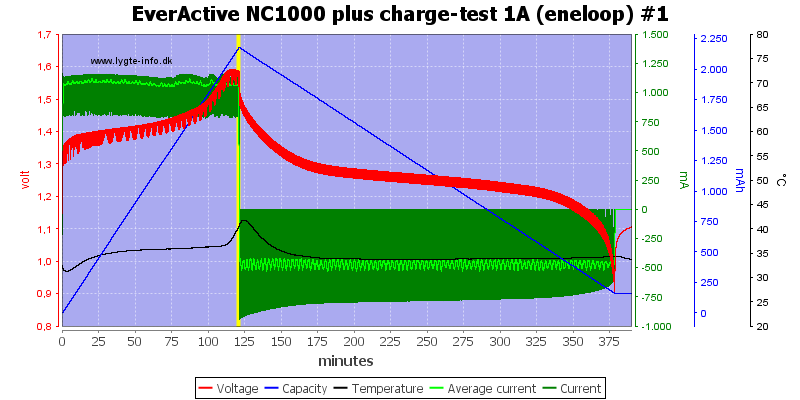 the charge current is regulated and not depend on the battery voltage. 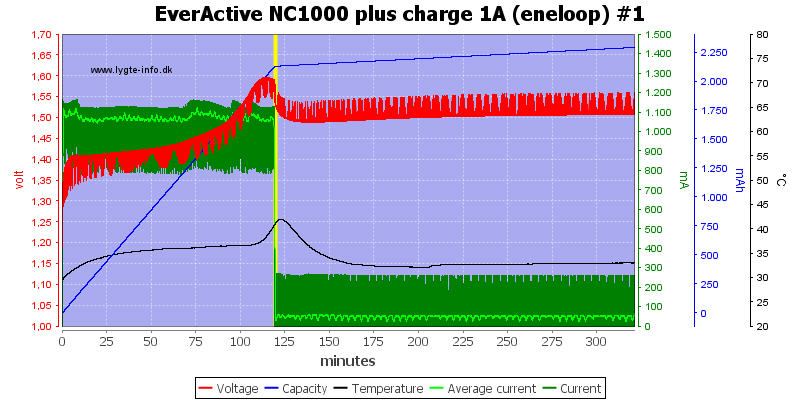 Trickle charge is done with short pulses, this works out to 46mA average current. 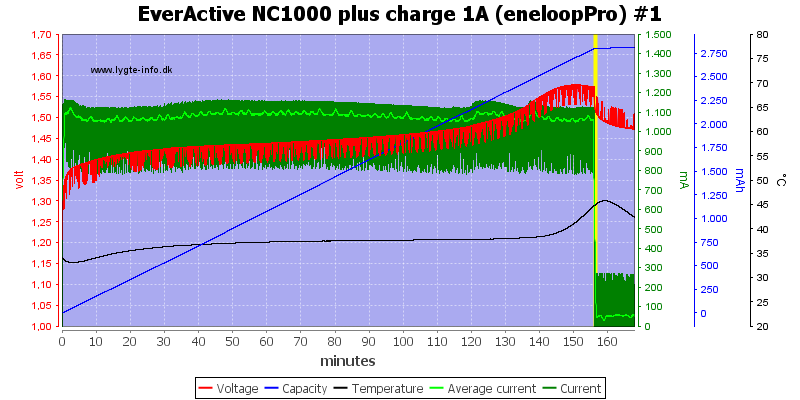 The battery is discharged to 0.9 volt. 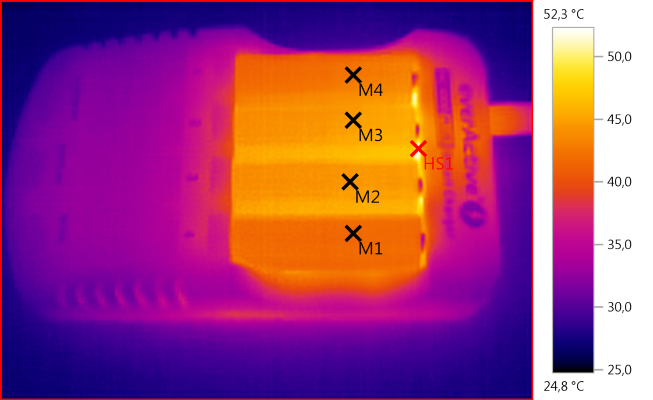 When discharging the charger need to get rid of the energy, this will heat the batteries. 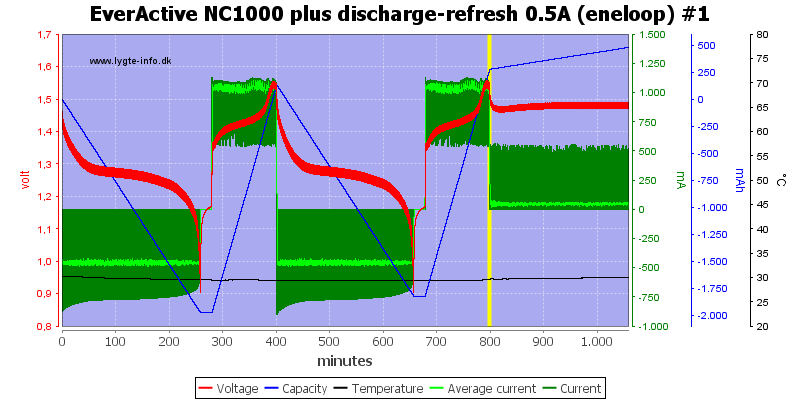 Dishcharge is also regulated with pwm, here at lowest discharge current. 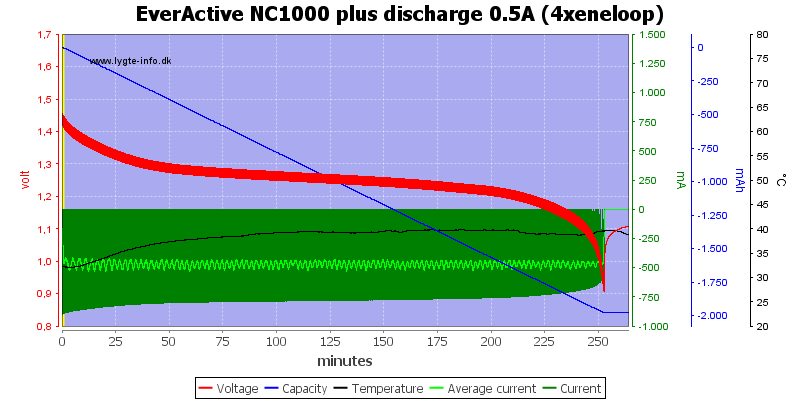 And at highest discharge current. 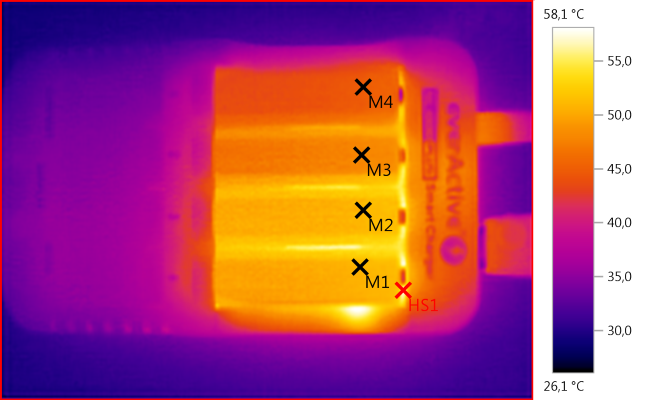 Using a battery with higher voltage will change the pwm and the current, i.e. 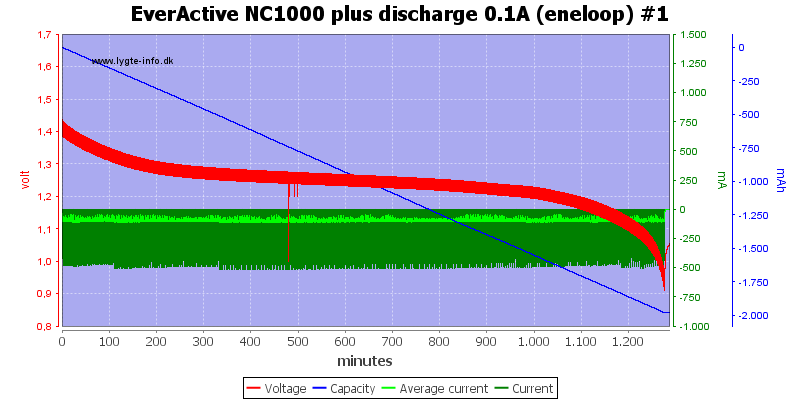 discharge do not use constant current. On the scope pictures above a strange pulse can be seen, I do know the reason for this pulse. This function will cycle the cell a couple of times, it finish with a charged cell, the selected current is discharge current. 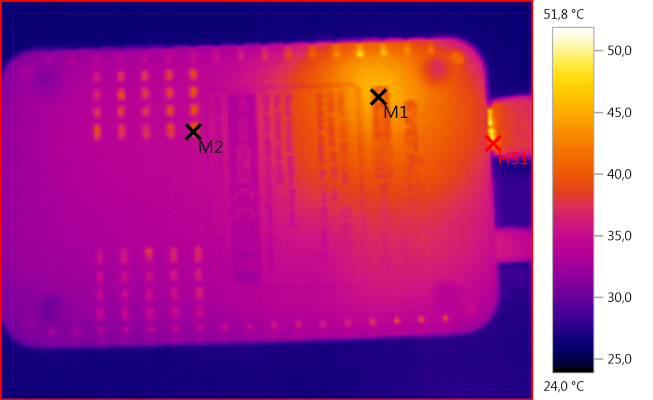 This function will charge the battery, then discharge the battery, the display will show the discharged capacity. 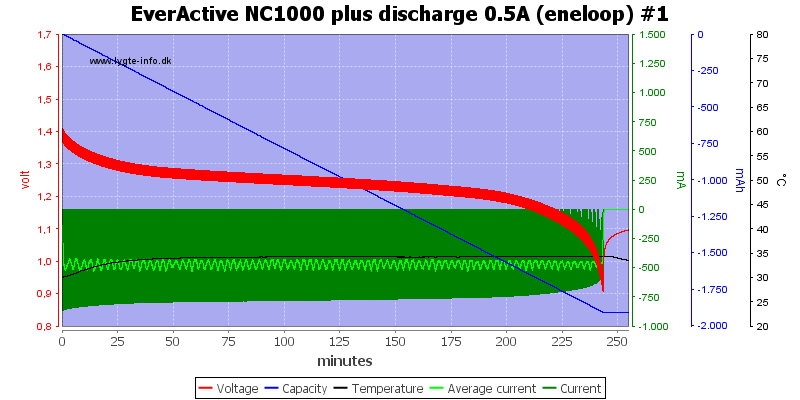 The selected current is the charge current, the discharge current will be half that. 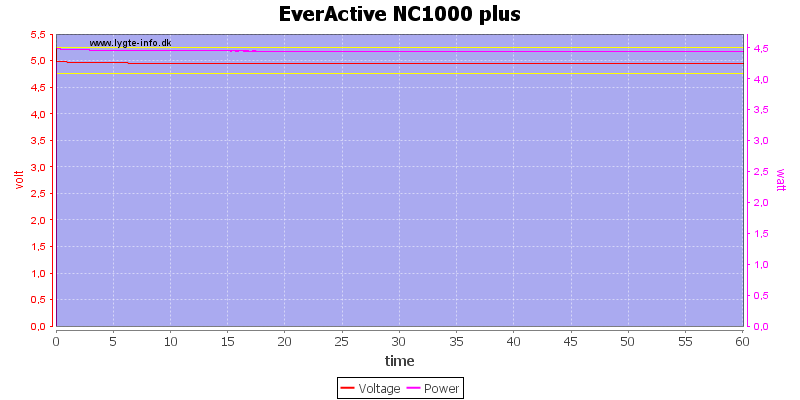 Power consumption when idle is 1 watt from mains. 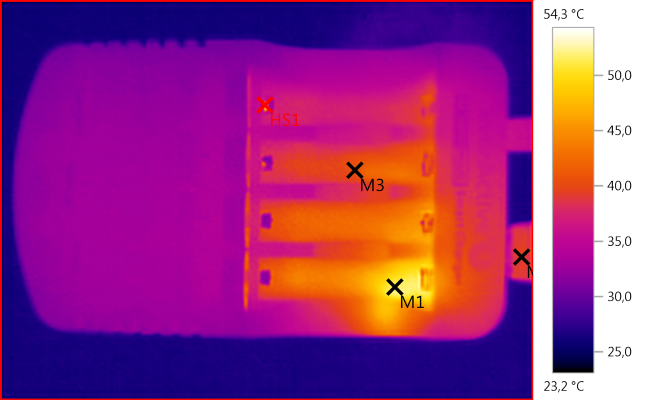 Usb output cannot be driven from batteries. 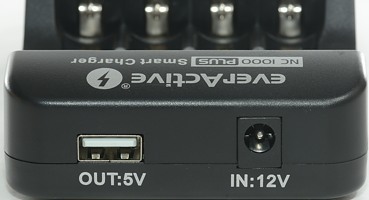 The usb output cannot deliver the rated 1A, but only about 0.95A and the efficiency is low. 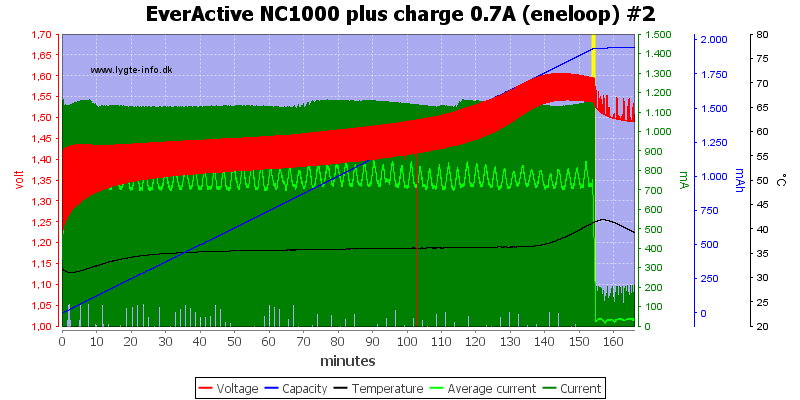 Charging battery at the same time usb output is used is no problem. 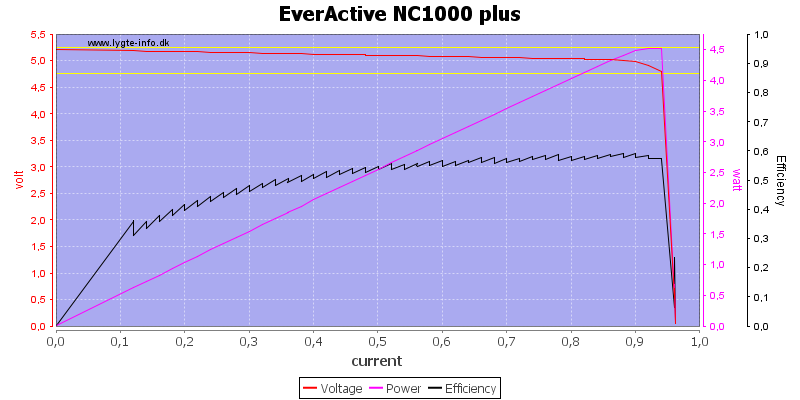 The efficiency will, of course, be much worse because a lot of power is going to the batteries and not to the usb output. I run the one hour test at 0.9A and there was no problem. 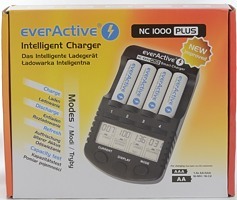 I did the test both without batteries and with 4 batteries charging at 1A. 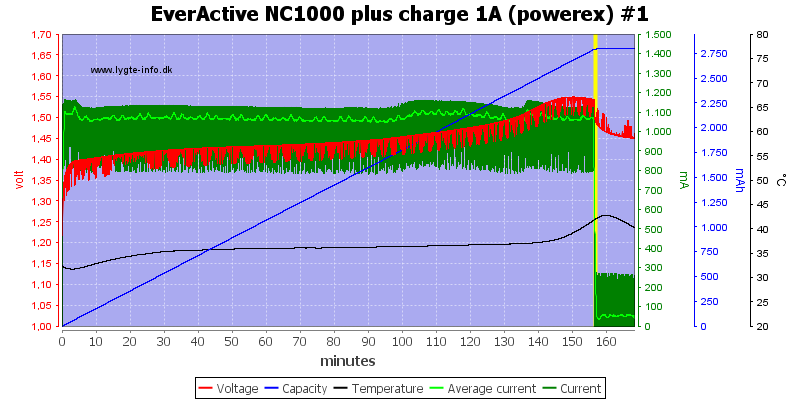 The charge do not get very warm as a usb power supply, but this is fairly warm if there is batteries in it. 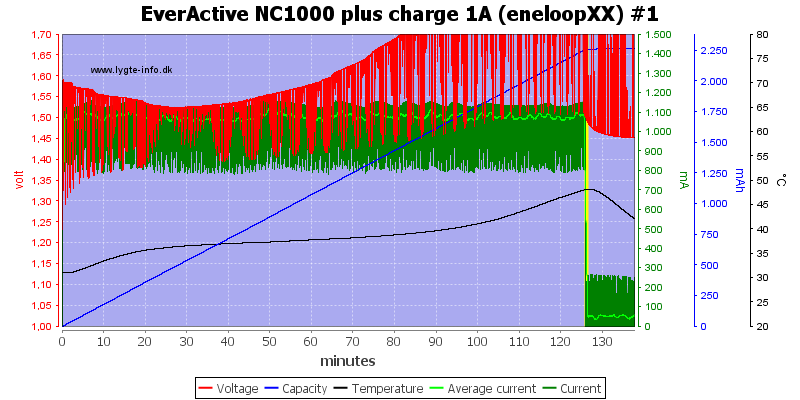 The batteries get fairly warm when charged together with usb output working at full power. Noise it very low at 18mV rms and 154mVpp. Noise it also very low at full power at 16mV rms and 113mVpp. 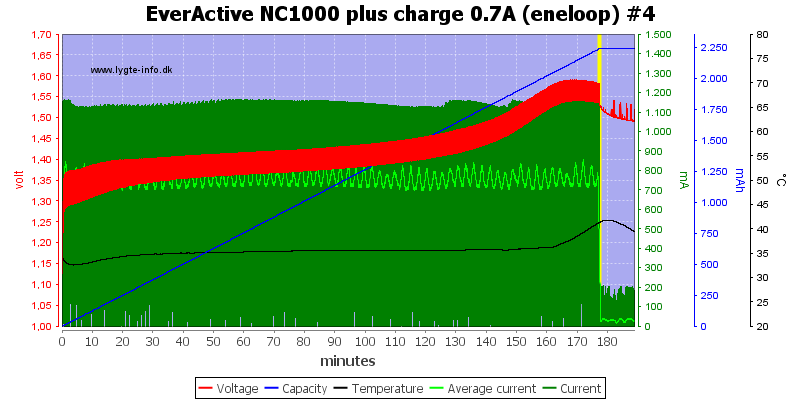 If the charger is also charging batteries there will be more noise, but still in the very good range. 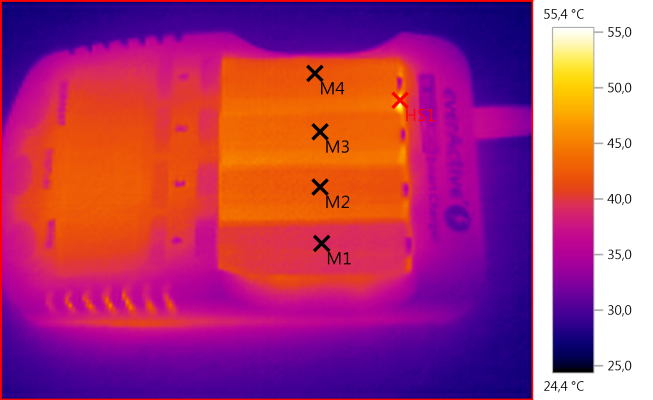 This is a compact analyzing charger and this means it will run a bit on the warm side when using full current. 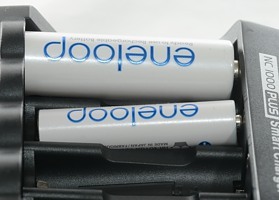 The trickle charge current is on the high side, this means it is best to remove batteries fairly soon after the are charged. 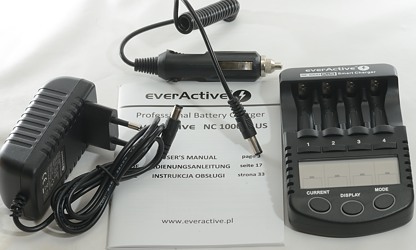 All functions works as expected, the user interface is easy to use and it was not early or late on a single termination (Except when provoked), this makes it a good NiMH charger. As for the usb charger function it has some issues, it works and has low noise, but the coding is wrong and below 1A is not very good. 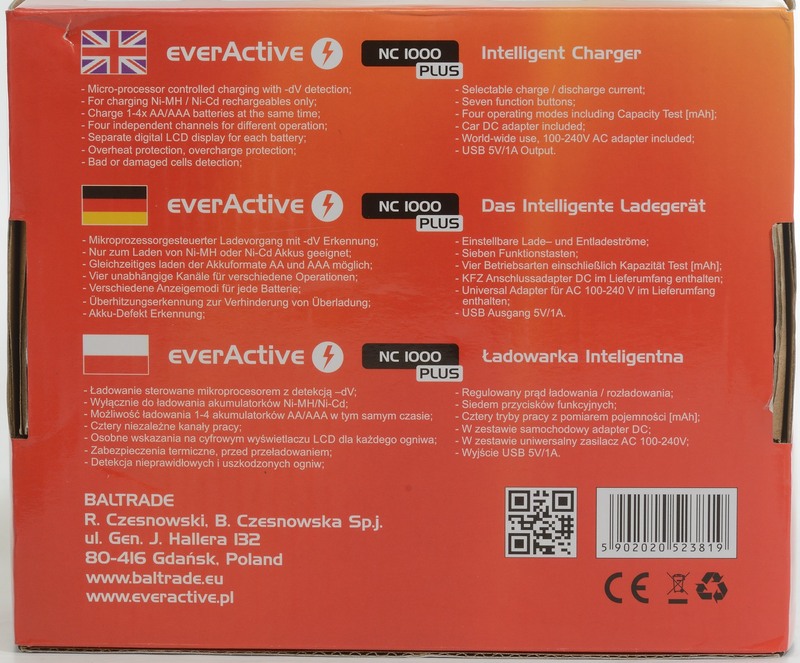 The charger is from Amazon.de with help from a reader.